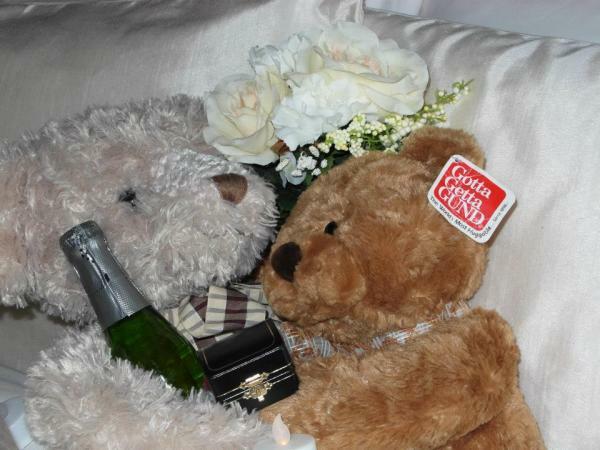 We had so much fun with Carolyn & Gerard and our teddy. They even brought their own. Can't wait to see them back again one day. We originally booked for 2 nights but literally couldn't bare to leave so were lucky enough to be able to extend our stay another night. So many things make this such a fabulous place from the smallest details such as the heated towel rail in the bathroom, the soft fluffy white bath robes, to the most amazing views that you can enjoy while laying in your ever so comfortable bed. The jacuzzi, the afternoon treats the amazingly delicious breakfasts, the hospitality and friendliness of the 2 hosts makes this a place that I simply cant wait to go back too. If you're looking for a romantic, peaceful get away in a fabulous, unique and natural setting then you will love Hideaway Haven.